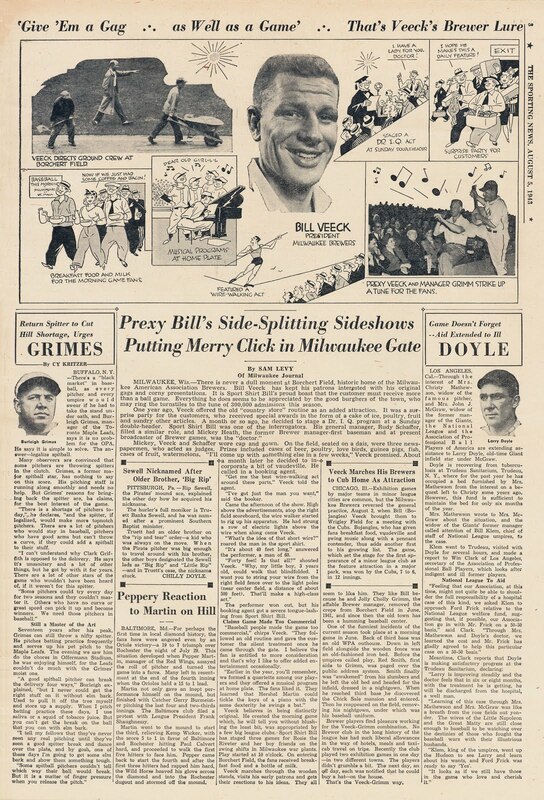 In August of 1943, 85¢ bought a baseball fan entry to the Borchert Field grandstand to watch the Brewers, then in their second full season under team president Bill Veeck. There were a lot of these sold in 1943; Borchert Field saw 332,597 fans fill its wooden stands that season, breaking the single-season American Association record. This was five times the Brews' home attendance in 1940, the year before Veeck took over. Not bad at all, considering the ballpark had a capacity somewhere around 11,000. This success had not gone unnoticed in the baseball world; just a few weeks before this ticket was presented at the Orchard's turnstile, the Sporting News had run a feature article on the innovative young owner and the spectacular job he had done turning around the once-moribund franchise. 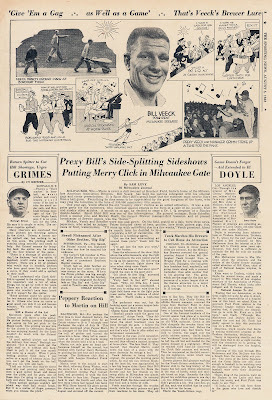 1943 was also a great year for the Brewers in the standings, as they won the American Association pennant with a 90-61 record, 5½ games ahead of second-place Indianapolis. This was the Brewers' fourth flag, and the first since 1936. It was also the start of Veeck's dominating clubs, who would go on to win two more in a row. Good things were brewing for Veeck's boys in Milwaukee, as the holder of this ticket could have told us.